Quality of life is dependent on a clear and fully functioning nervous system. Did you know that your body is a self-healing and self-regulating organism? Your brain and spinal cord control and coordinate all function. If there’s interference in the form of spinal misalignment, though, you no longer remain in an optimal state of self-repair and healing. Chiropractors locate these points of interference and remove them through what is called a chiropractic adjustment. This gentle treatment helps you to heal and function at your best. It’s important to remember that you’re designed to be healthy. The body has an innate intelligence that can wholly be relied on, particularly when there’s no nervous system interference. As human beings, we’re all subjected to various forms of stress: physical, mental and chemical. As stress piles up, the nervous system becomes overwhelmed, and we begin to experience symptoms: aches, pains, dysfunction and loss of mobility and good posture. Optimal spinal alignment is the key to good health, as it helps to avoid nerve impingement and the resulting pain and inflammation that a pinched nerve produces. Atlas Chiropractic Hong Kong strives to make abundant health a reality for those we serve. 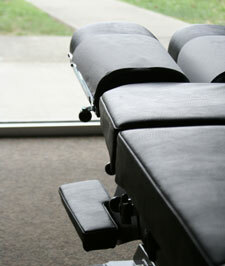 We accomplish this through education and specific chiropractic techniques.Our adjustment techniques include advanced low-force instrumentation, Diversified, Gonstead and Thompson Drop-Table. Our gentle care is specific and uniquely targeted to the age and condition of each patient. We cordially invite you to come in and be checked for nervous system interference; you’ll be surprised at how quickly your health can turn around. Contact us today for a same day appointment!